No rain dates are scheduled. For more information about the Harris Property and view a trail map visit the East Haddam Land Trust website at www.ehlt.org. 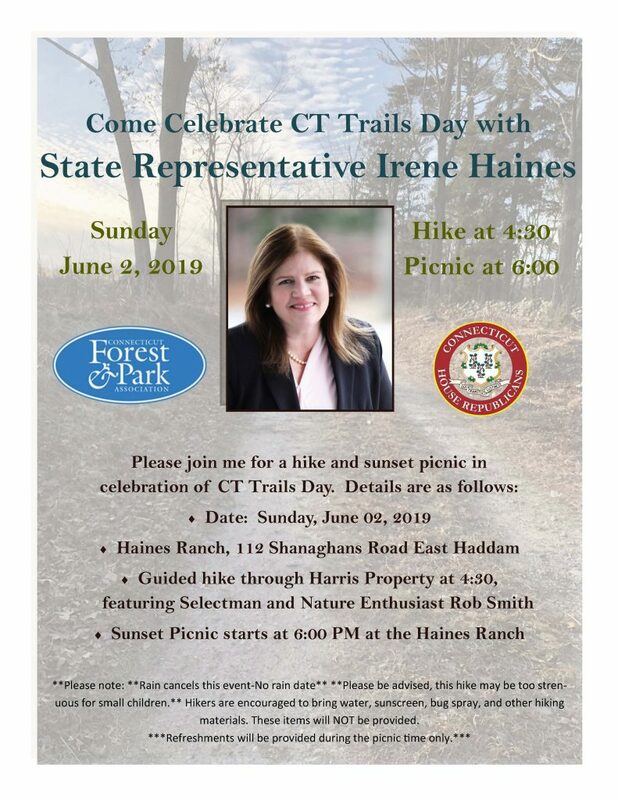 Connecticut Trails Day is sponsored by the Connecticut Forest and Park Association (CFPA), which has been a devoted advocate of Connecticut’s state park system and natural resources for quite some time. Visit www.ctwoodlands.org/ct-trails-weekend for more information.